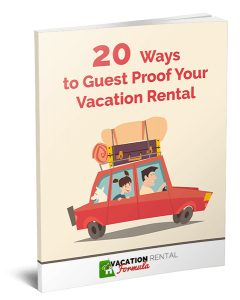 Are you a vacation rental owner or a host? Do you own a vacation rental or an STR property? Many people will think these are odd questions – after all, aren’t they all the same thing? But, the terminology you use can define whether you primarily market with what have become known as the ‘traditional’ listing sites of Home Away, VRBO and Trip Advisor, or the relatively new kid on the block, Airbnb. Most property managers will use both to market their properties and seem to be more comfortable with the spread of inventory across multiple sites than independent owners. However, if you follow forums and Facebook groups, there still seems to be a gulf between Airbnb and Home Away et al. with contributors seeming to fall squarely in one camp or the other. There are differences. Both in the general guest demographic as well as the concept of self-catering from a guest and owner perspective. While not wanting to get into a controversial area, hosts, in general, seem to embrace the hospitality concept to the full, while there are still some vacation rental owners whose idea of renting out their space includes an expectation that guests are a little more self-reliant. Because I’ve been in the industry for well over 25 years, I’ve been in the latter group for a lot of the time, so am one who has been a little slow to get a handle on the differences that Airbnb offers. 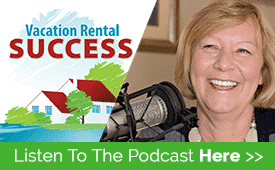 In this episode, I talk to Danny Rusteen of Optimise My Airbnb. A CPA and former employee of the company, author, property manager, and Super Host, and self-professed Super Guest, Danny is a digital nomad, traveling the world while he supports hosts with services to help them achieve greater success. Our conversation ranged from the benefits of using digital welcome books, the quality and quantity of toilet paper to supply and finding selling points, to the benefits of being fired from Airbnb. For every 5 comments made on this post, we’ll draw for an Airbnb Startup Host Listing Optimization package worth $50.